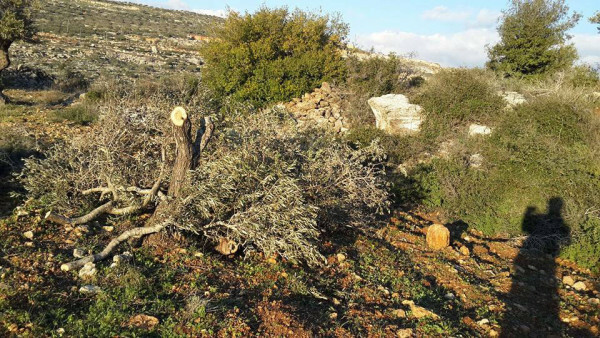 On Monday, January 11th, a farmer in Yasuf went out to see how his land had weathered during the recent storm and saw that a large number of olive trees in neighbouring plots had been cut down to their trunks. He immediately alerted the Yasuf Municipality. The Municipality came to the site, took photographs and shot a video. They found that thirty-six trees had been chopped to the point where they could no longer live. Some of the severed branches were still very green, indicating a very recent attack, while others were more browned, suggesting a separate incident which they estimate occurred five to eight days ago. The mayor of Yasuf, Abu Hamad, and several municipality employees spoke with ISM. They elaborated the issues surrounding the trees which were cut down. Four different farmers, three from the large Yassin family, were affected. 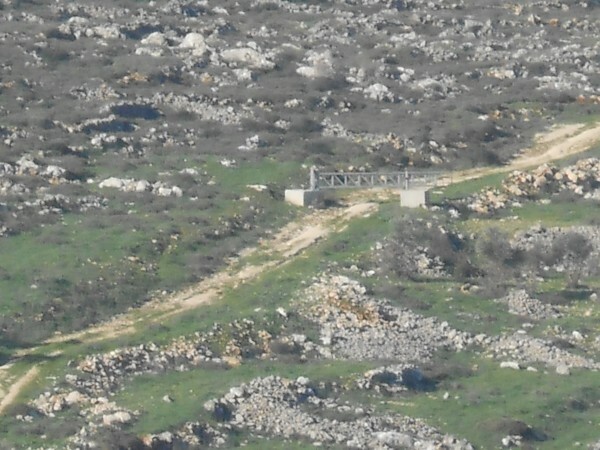 The killed trees were in the agricultural area known as Al-Teen Al-Shami, a couple kilometers from the village by a road which the Israeli military has closed off with a gate since 2002. This is used in such a way as to severely restrict the time in which farmers can harvest their olives and graze their animals. Gate blocking the road to the Al-Teen Al-Shami area (photo by ISM). Yasuf is surrounded by illegal Israeli settlements and outposts; there have been numerous attacks on the village by settlers in recent years. 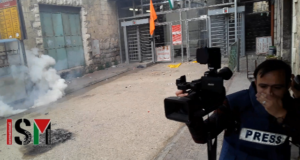 This is not the first time they have targeted trees – there was a similar incident three or four months ago and the affected family went to the Israeli police. No action has been taken. Settlers have also set fire to a mosque and attacked people’s cars. But it’s not time to give up yet – the Yasuf Municipality is considering having an event to plant more olive trees to replace those that were lost.